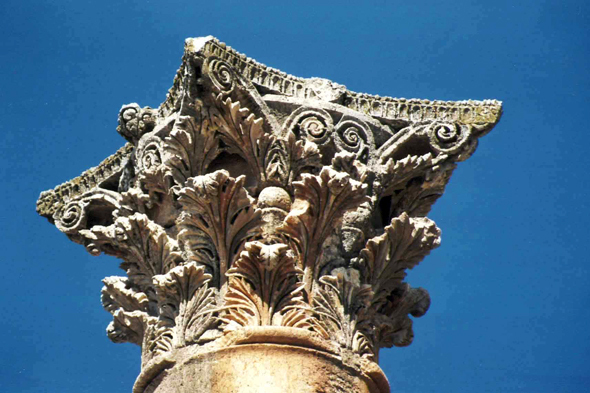 Top of a column of the Artemis temple. The temple was set up in 150 under the reign of Antonin the Pious. It is the most important monument of the city, it is the temple of the guardian goddess of Gerasa. The whole of construction is spread out over nearly 650 metres length.